Charles chose the title of this blog post. He says it is from a Neil Young album. Whoop Dee Doo! Charles likes Neil Young. I don’t. But I do like rust. In fact I love rust; not on our cars or tools, but on old stuff in my garden. The gears in this photo belong in my garden. 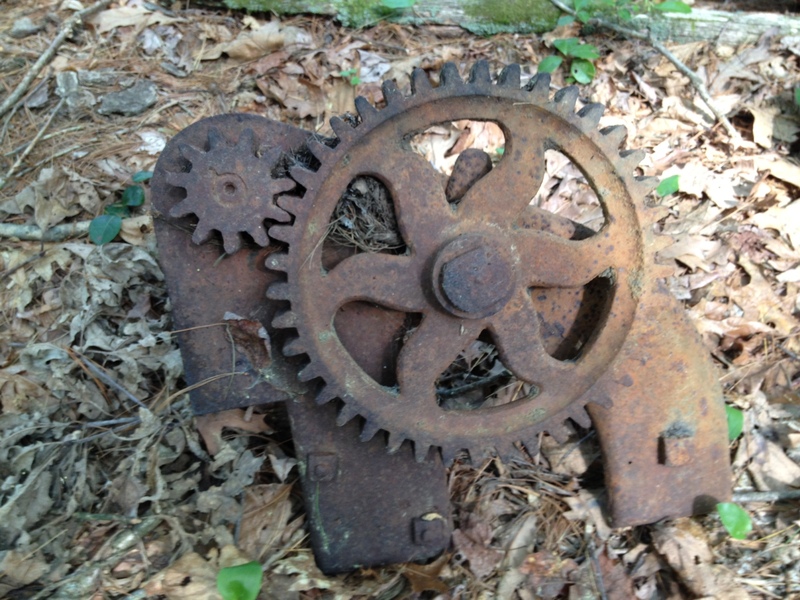 My hubby discovered this cast iron relic while walking in the woods in Groton. The big gear is about 16 inches in diameter. Charles figures the entire assembly weighs about 75 pounds. It would require a trek of over a mile to the nearest road. If he would take better care of himself he would be fit enough to get this for me. I will stop making him desserts and by Labor Day my fit and trim man can bring this trophy home.